UPDATE: I first published this article in 2012 on my first blog, FIToriBLOG. 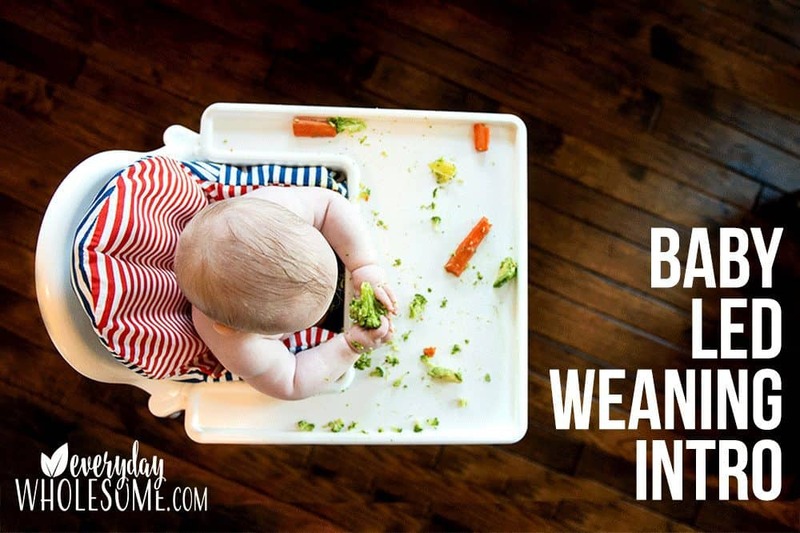 I was one week into baby led weaning with my first child when I wrote that article. This post was one of my most popular posts and got a lot of attention back then. 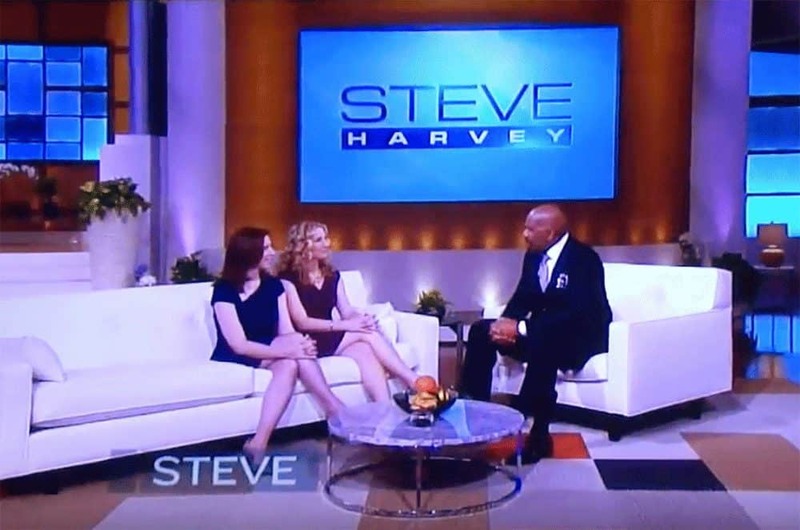 I appeared on the Steve Harvey Show about it that year. I am now a few months into baby led weaning with baby #3. We still love it but I’ve learned some hacks along the way that I will share with you. The kids have loved it. The dogs have loved it. We enjoy meal times together. No one is taking turns spoon-feeding the baby and then eating our own meals. There is a ton of mess and oh what fun to make a mess! I THOUGHT EVERYONE STARTED WITH RICE CEREAL. Should her first food be cereal? processed? From a box? Grains? Carbs? We don’t eat cereal. Why should that be her first food? Is rice cereal adding any nutrition to her diet? Is iron fortification the best way to get iron into her diet? Through my research, I decided….I do not think so. I didn’t want to fill baby’s belly up with things other than breast milk or good quality foods. I didn’t want her first food to be from a box, processed and fortified. Here I am on TV back in 2012 talking about Baby Led Weaning. Baby led weaning or baby led feeding allows baby to feed herself. Instead of making spoons into airplanes to get baby to eat, parents allow the child to guide how much and of what they want to eat, of the foods that are offered at each meal. It sounded like fun and it really was! She decides when she’s ready (I started offering at 6 months. After baby was sitting up & when baby appeared interested in our food.) As soon as the developmental milestones are met, allowing the baby to decide when she is ready takes some pressure off the parent. We can sit as a family. Everyone is eating together. Even if baby isn’t actually “eating,” she’s playing and having fun. The rest of the family is eating. And she is part of the family. I thought it sounded more relaxed. My babies have been happier doing it themselves. They enjoy the exploration and independence. It’s less frustrating for them. I felt like it gave them confidence and independence. It made sense to me that babies would be more varied eaters if they experienced more consistencies through different foods vs just purees. It took less time for me to let her play with her food than to sit and feed her. All of their senses are involved and it’s a real time of learning versus just eating. They are using their hand eye/mouth coordination 3x a day for 30 min or so each time. That’s a lot of extra “practice” they wouldn’t be getting otherwise. I believe this helps to develop their mouths and their fine motor skills. They were getting to taste individual foods versus strange food combinations. There were no food battles or persuading baby to eat. Babies at this age put everything in their mouths anyway…why not try food? I RESEARCHED AND I DECIDED…. Breastmilk is the most important “food” for my baby until 6 months…really until 9 months, with some fun experimentation into food starting at 6 months. Rice cereal is empty carbs (unless baby needs iron) and not worth filling up my baby’s tummy and therefore taking the place of breastmilk. Iron has been added though so it does help some children who are not yet eating enough iron through meat. Spoon-feeding my baby doesn’t sound like fun for me or for baby. Although giving my baby a spoon with food on it (think projectile baby food) is great fun for baby. Baby-led weaning sounds like tons of fun. Gagging can make mommies nervous. Trust your instinct mama. You an wait until later. You can quit altogether. You decide what’s best for your family. And don’t apologize for what you decide! Messy. It is messy. Embrace the mess. 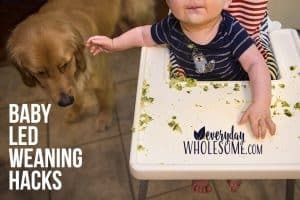 AFTER 3 BABIES, DID BABY LED WEANING WORK FOR US? We are on baby #3 now and he’s currently doing baby led weaning also. And he loves it! It took about 5-6 weeks for him to really GET it and then once he did he wanted to eat all the things! My first two children did baby led weaning and they both started talking early. One was VERY early. And very articulate. My first child enjoyed baby led weaning more and I think I did a better job with her with it. She had very clear enunciation at a very early age. I don’t know why. But I have read that BLW can coorilate with better usage of the mouth and tongue and all the things involved. Who knows. Interesting though. Both my BLW children also had good fine motor skills. I don’t know if it’s associated with BLW but they definitely were spending a lot of time using their fine motor skills with BLW. These are the books we used for our research. I ALSO LOVE THESE ONLINE BLW BABY’S FIRST FOOD RESOURCES. Babyfood101.com – Check out this example on peaches! I found this FANTASTIC website recently that helps explain different foods for baby. It’s fabulous! I’m learning SO much about individual foods! Why didn’t I know this before?! Tell me what you think, your research and what you did or are doing with your kiddos! 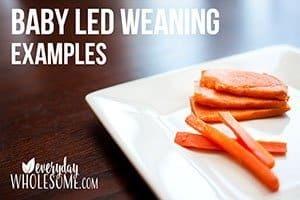 Did you try baby led weaning? Did it work for you?